When all she wanted was to fit in, Tamika Catchings stood out and felt left out, never knowing one day she'd stand out--as a basketball superstar and an inspiration. She faced being set apart by her hearing loss, separated from family, living up to high expectations, and the pain and discouragement of debilitating physical injury. Yet she reached for the stars with hard work, perseverance, and her faith in God. Through the silence, she found the way to shine. 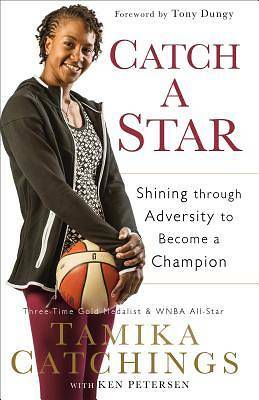 Catch a Star tells Tamika's story of overcoming: of leading the Indiana Fever to its first championship, being named one of the WNBA's top fifteen players in history, earning four Olympic gold medals, and founding the Catch the Stars Foundation to help young people achieve their dreams. Her story will inspire readers to face their doubts and fears, encouraging them to reach for their own stars, no matter what challenges come their way.